TripOnline.org Blog: FREE Renovation, Repair & Painting (RRP) Trainings! FREE Renovation, Repair & Painting (RRP) Trainings! Effective April 22, 2010, workers performing renovation, repair and painting projects that disturb lead-based paint in homes, child care facilities, and schools built before 1978 must follow specific work practices to prevent lead contamination and must be certified. This federal EPA Renovation, Repair, and Painting (RRP) rule applies to contractors, painters, plumbers, carpenters, electricians, window replacers, roofers, and landlords. Trainings to become EPA certified are offered by Cornell Cooperative Extension Albany County, an EPA accredited training provider. This course is approved for purposes of certification under Section 402 of Toxic Substances Control Act (TSCA) for the respective discipline. Upon successful completion of the RRP Initial course including passing an exam at the end of the class, participants are EPA certified renovators. This certification is good for 5 years. 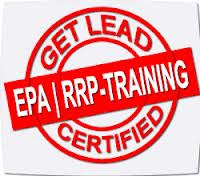 Failure to comply with EPA's RRP program requirements could result in penalties of up to $37,500 per day per violation. Jan 15 – Center Brunswick Fire Dept.